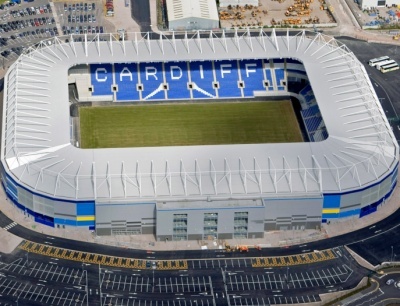 Take an aerial tour around Cardiff City Stadium. (requires Google Earth). 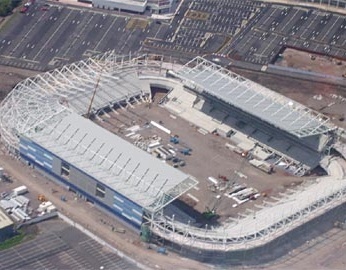 Cardiff City Stadium is within visual sight of the Ninian Park location. Leave the M4 at junction 33 and take the A4232 towards Cardiff­/Barry. Then exit the A4232 at the B4267 turn off sign-posted Cardiff City Stadium. Follow the slip road, turning first left at the roundabout. The stadium is then on your right hand side, taking the right hand turn at the second set of traffic lights. The closest train station to the ground is Cardiff City Stadium Halt, which is a couple of minutes walk. 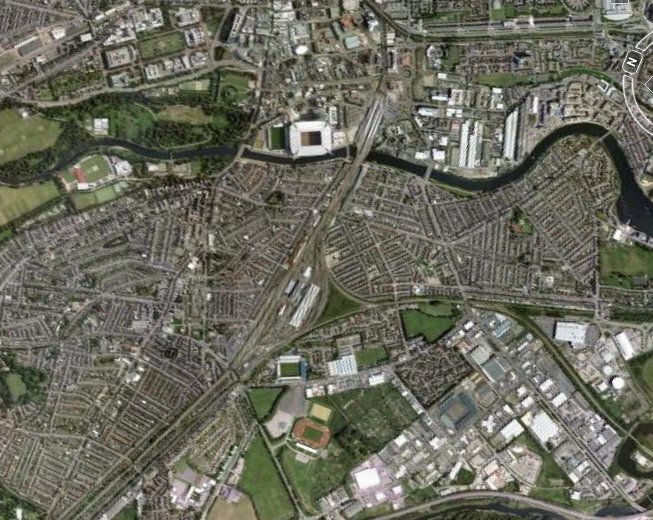 Alternatively Grangetown station is around a 15 minute walk from Cardiff City Stadium. 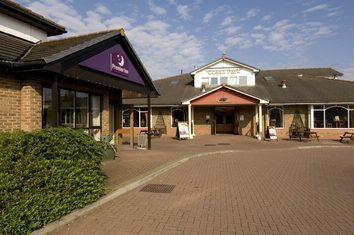 Nice roomy bedrooms, comfy surroundings and friendly service – from only £29 per room (not per guest) per night. One of the UK’s leading online accommodation specialists, offering access to a huge range of hotel rooms across the UK with regular savings of up to 70% off the normal room rate. There's a very large car park near the ground at the Athletics Stadium. ParkatmyHouse.com is a brand new and innovative service which aims to provide affordable and fine -free parking by enabling property-owners to rent out their empty driveways, garages, car parks etc to drivers needing somewhere to park. Travelling football fans can arrange to use a property-owner’s space on a one-off or regular, short-term or long-term basis. Underground and garage spaces offer drivers the added benefits of shelter and security for their vehicles. Email us to recommend any local attractions near to Cardiff City Stadium and we will list them here. The Cornwall Hotel is recommended and is a 10 minute walk from the ground and is in Cornwall Street. Most of the pubs near the ground are not recommended for away fans. 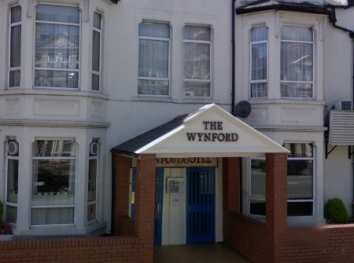 Email us to recommend any pubs and restaurants near to Cardiff City Stadium and we will list them here.